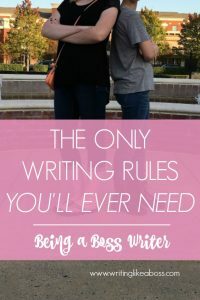 In your life as a writer, you’ll come across a lot of writing “rules.” I’ve found that you don’t need to follow those rules – in fact, most people recommend breaking them. So what’s the point in even having them? But, if you’ll allow me to contradict myself, there are a few writing rules that you should know. They aren’t like the typical rules you see in guidebooks, or on the Internet. 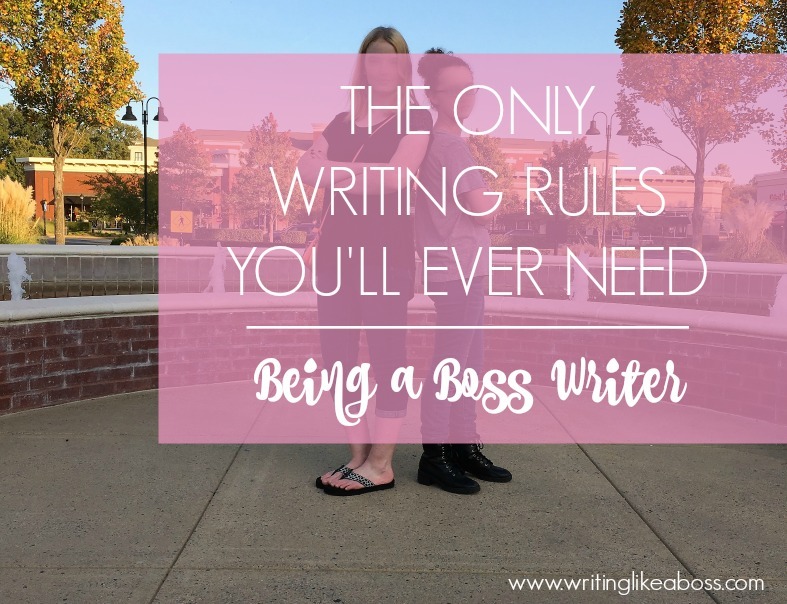 These rules are simple, basic guidelines that will help you unleash your inner boss writer. 🙂 If you have anything to add, please do so in the comments! 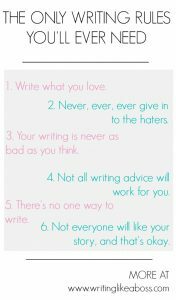 Don’t let anyone tell you how to write. Your writing is unique to you, and it’d be a shame to waste it doing something you don’t love! Of course, in no way do I mean that you shouldn’t heed the advice of other writers – in fact, you should value their input. 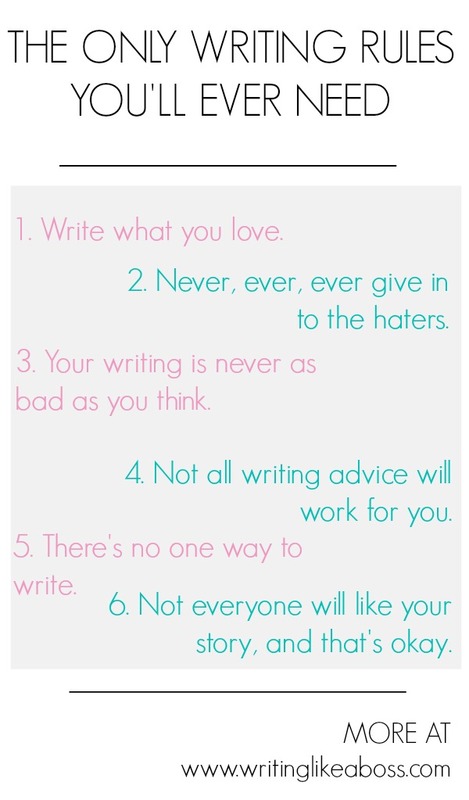 Here’s the gist of this rule: write what you love, love what you write, and settle for nothing less. Be you. Write you. And love every second of it! 2. NEVER, EVER, EVER GIVE IN TO THE HATERS. Every writer meets a “hater” at least once in their career. World-famous books get attacked, beaten, and one-star-reviewed probably hundreds of thousands of times every day. But guess what? That doesn’t make them any less famous! Some people just want to tear you down. And by giving in, you’re letting them win. Don’t give them that kind of satisfaction, writer! You have the power to slay your hater-dragons. Use it. 3. YOUR WRITING IS NEVER AS BAD AS YOU THINK. Your story is “boring” only because you’ve read it a thousand times. Your story is “predictable” only because you know what’s going to happen. Writing doesn’t have a voice. Chapters are too short. Characters are cardboard. Plot is boring. I hear myself saying it every day. Let’s face it: we’re our greatest critics. Just remember that your writing is never as bad as you think. 4. NOT ALL WRITING ADVICE WILL WORK FOR YOU. In order to figure out what writing advice will or won’t for you, you first need to determine what you want your writing to look like. Do you want it to be quirky and unusual? Or so realistic that you feel as though you’re actually in the scene? Find your voice, figure out your genre, and go from there. 5. THERE IS NO ONE WAY TO WRITE. Poetic, wordy styles are great. And so are quick, exciting styles. And everything in between is just as lovely! We have an awful tendency, as humans, to compare ourselves to others. As writers, we look at other books and get a sinking feeling in our stomachs, because our writing doesn’t look like Jane Austen’s. Well, duh: that’s because we aren’t Jane Austen. And that’s okay! Good news: there’s no one way to write! Everyone has a style, and everyone has a voice. Embrace yours! 6. NOT EVERYONE WILL LIKE YOUR BOOK … AND THAT’S OKAY. We can’t please anyone – it’s physically impossible. So don’t worry about trying to write a book that appeals to everyone. Instead, tell a tale that will connect to your reader on a personal level. That’s the best way to craft a big-hearted, powerful story. There will be people out there who won’t like your story. And that’s okay. The sooner you accept the fact, the sooner you can get back to being a boss. Let’s talk! Questions? Anything to add? Let’s talk below! This post really helped. It’s amazing how true your words were! I really do want to please everyone and I know I can’t. But my favorite was when you said that we’re our own worst critics. It’s so true! I can’t believe how stressed out I am right now thinking of my book and how people will like it. It’s actually not the book I’m currently writing, but the book one of three in the series. I feel like the dialogue is so cheesy and the beginning is fake. I’m thinking of re-doing the whole thing. No one’s read it yet except me. Maybe that’s the problem. None of my family really has time to read it though…Anyway, thanks for a great, great, GREAT, post! Hey, Aynsley! I’m so glad you loved the post! 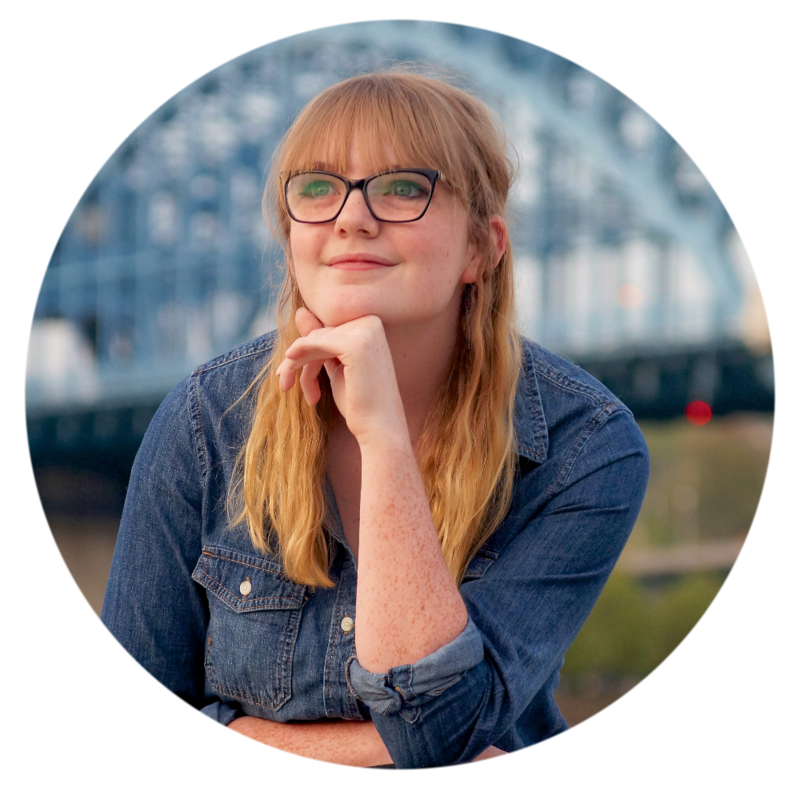 I’m stressed out about my book, too – that’s what inspired this post. 🙂 You know, I always promote the idea of rewriting stories. Maybe that’ll be my next post! 😉 Thanks for commenting! I just looked at your Writing like a boss pinterest: Articles worth reading, and they are SO helpful! I’ve really been having trouble and tons of pressure and this just really helped! I knew what I needed, but I didn’t know what I was looking for, if that makes since. Anyway, I found what I needed and what I was looking for without knowing it! Ha! Thanks so much! Can’t wait for your next post! I actually just now saw that you saved my pins/followed me! I’m glad you found it helpful. 🙂 Thanks! Previous Post Proud of What You Wrote this Week? Share Your Excerpt! Next Post The Undiscovered Tribe – Second Publication Anniversary!